At Cycads Safaris, we have worked with a good number of clients from across the world. Below are just a few testimonials from our previous passengers. I traveled in Uganda from March 31 to April 3. Just began to plan one week before. I found Cycads from the AUTO. After comparison, the quotation was really reasonable, and very quick and friendly response from the office, which helped me to make the decision. During the travel, everything was planned perfectly and the details were tailored and considerate. What's more, I received the call from the Director and other officers during the trip, which is really nice. The team is well organized, polite and friendly. Thanks, Cycads Safaris, for the memorable trip! We can't begin to tell you how wonderful our trip was. I am going to write something about the whole trip for our "bird" magazine and will let you have a copy. In the meantime I will say that Jackson was the tops. His driving was impeccable on those difficult windy roads. He did not drive too fast and nothing was too much trouble. He handled our itinerary with a lot of care and quickly understood what we required to make us comfortable. He was very patient while we did our "tours". The bird guide we had at Nyungwe - Ntoyinkima Claver - was superb. Not only did he know ALL the birds and ALL their calls, he was familiar with the flora and fauna - which our two friends - Lari and Mike - who have a wilderness of their own here in Zambia - were most captivated with. Claver is a necessity for any birding groups you have in the future. With Claver we saw over 100 birds, 50 "lifers" (the first in our lives) - 20 of which are endemic to Rwanda. He made our trip to Nyungwe Forest and we are delighted we extended our stay there by two days. One day is not sufficient. Our trip to the gorillas was phenomenal and our first time to see them in the wild. We found the people of Rwanda to be hospitable, courteous, friendly and welcoming. We actually do not have sufficient adjectives to describe our sentiments. Lari and Mike have gone on to U.K. but Steve and I have returned to Zambia ready to be the ambassadors for Cycad Safaris and Rwanda. Please convey our greetings to Pastor Ben. Comments about safari- " Absolutely on time, very good driver, very good knowledge about animals, very keen and helpful plus guide was very friendly..."
"Expectations are fully satisfied ..less animals than in Serengeti , but much more beautiful country side"
Comments about vehicle used:" Vehicle was in good condition, accommodated 8 of us..."
Comments about Staff : "Preparation of our trip was very good , extra price for Mount Elgon was surprising , but well handled and Imelda was quick to respond to all our emails". Reasons: "Friendly, quite cheap, quick reply, trustworthy website"
Our trip organized with Your company was very successful. We send special warm words for Jimmy - our driver and guide. As You guaranteed we were really satisfied with him.He was very nice, funny and very responsible. And always willing to help us. His knowledge is really highly professional. He knows all animals, especially birds, all plants. He gave us a lot of information about places where we were and always answered our never ending questions. He was never tired, or rather never showed it. His skills are great and not to overestimate! It was a real adventure to travel together in Uganda and Rwanda! We wish You and all people working with you all the best. For Email, please contact us as some internet users SPAM our clients. 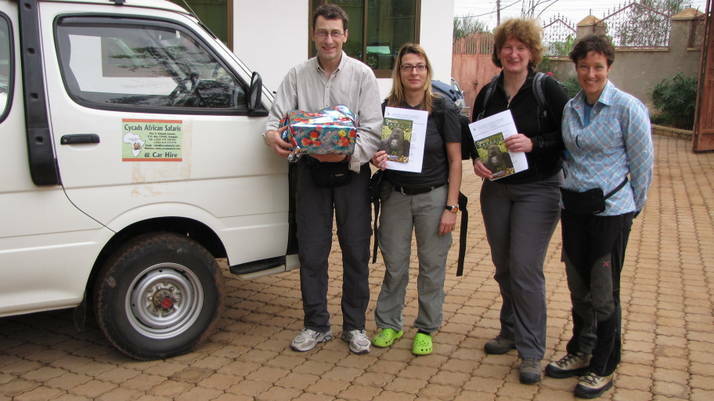 I was delighted by the package offered to me by cycads safaris for 10 days Uganda safari. The administration was very helpful and provided me with utmost information in regards to my preferred safari tour. I had a very good and excellent driver guide knowledgeable about the animals, as I spotted them in a very a comfortable 4x4 vehicle. We expected to have an amazing time in Uganda for 5days; we booked a safari with Cycads safaris after inquiring from many companies. Bosco who was our driver guide was excellent, He was always punctual and very knowledgeable about the birds and animals in or destined spots. We had an amazing time and when we return to Uganda, we will want to choose Bosco as our safari guide. I was very satisfied with what cycads safaris offered me for a 25 days Rwenzori trekking safari. The administration was helpful, approachable and friendly. The main part of the journey which was hiking of the Rwenzori Mountain was very well organized and the administration was capable to solve the minor problems that arose along the way. Our expectations about the safari were fulfilled, we had a punctual driver guide who had good driving skills and provided us with a lot of information about our destined places. We booked a safari with Cycads safaris and our expectations were exceeded. The administration was very helpful especially being responsive to our emails, which was very essential for booking our tour itinerary before the trip. 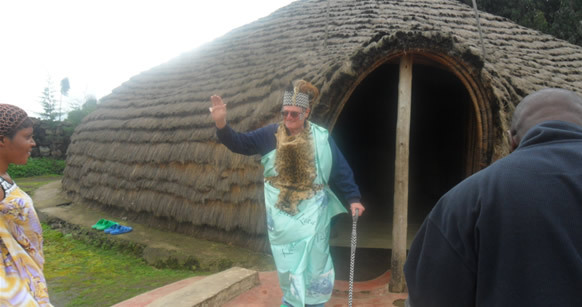 Bosco is quite the best guide we have ever had; he is punctual, knowledgeable about the culture and wildlife. You feel safe along the drives and he always made sure we are doing well. The vehicle was always clean comfortable and reliable. I would recommend Cycads Safaris to any one who needs a vacation or advice for a safari. It is very easy to book a trip with Cycads by email from USA .We experience a very good trip when we arrived in Uganda. Reliable staff and great driver guide “Bosco”. Over all a great experience!! I had my tour perfectly organized by Cycads safaris. I received all the necessary information from Imelda. The company is very reliable, it had a very driver guide who was skilled and was knowledgeable above all punctual. My expectations for this safari were over whelmed. I got very quick responses from the tour consultant at Cycads Safaris. My expectation for 2 weeks holidays in Uganda were fulfilled and I was very satisfied. I longed to prolong my stay but time ruled me out. We had a perfect safari with Cycads safaris, Daniel who guided us in Congo was very great and Charles our guide in Rwanda was very good, helpful and very informative about the country destinations and birds. The vehicle was very good and clean all through the safari. Cycads took us on a one day tour in Uganda’s capital Kampala and the great city of Jinja. The day was very enjoyable and the lunch was fabulous. Latiff was an excellent guide in all respects. He was punctual and courteous and drove extremely well in heavy traffic. Olive was a good email correspondent and really was so helpful with her prompt relies. The staffs at the office were very approachable and friendly. We enjoyed the good services of cycads safaris at a very fair price. The administration was very helpful and they answered all our questions and even provided extra suggestions and recommendations to make our safari a success. We had a very good 4x4 vehicle with an open roof, spacious and clean. The driver was very friendly and accommodative with a good sense of humor. He was always on time and listened to what we wanted. I and Patrick had a wonderful 12 days Wildlife safari in Uganda with Cycads African Safaris. Our guide was Charles and he was very competent in every thing that he was doing. His driving abilities, Punctuality and knowledge of the places that we visited. We were given a very good safari Vehicle with Open roof where we were able to see all the animals. The administration was very helpful and all our safari expectations were overwhelmed. We interacted with Imelda in our email exchanges and she was very helpful and responded quickly to our emails. The lodges were Purely Luxury, we slept in Mweya safari Lodge, Paraa safari Lodge, Primate lodge, Gorilla resort, Cassia lodge and Arcadia cottages in Lake Mburo. All we can say is that our safari was a great experience we will never forget because of the great fun we had and the great services that we were offered by Cycads Safaris and definitely I would recommend the company if any one want to have a safari to Uganda. I had a wonderful safari for 9 days with Cycads safaris and the trip was Marvelous. My driver was Jimmy and he was a perfect guide for my trip. He had very good driving abilities, skills and he was always Punctual and knowledgeable about the areas that I visited. I always felt secure and was very kind to me. 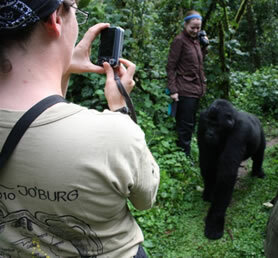 My safari included visiting places like Murchison Falls, Queen Elizabeth, Bwindi and the Kampala City tour. The most interesting of all was seeing the Gorillas. In Austria, we do not have such animals and there fore Uganda is really a gifted country. I also saw the rare Tree climbing lions in Ishasha. Even though I was travelling alone, I always felt as if I had some one else because of the company Jimmy gave me all the time. I really do appreciate the services that you provided to me and I will make a video from the wildlife of Uganda. All my safari expectations were met and even over satisfied. The administration is very friendly and for this, they are really very good at their work. Very reliable company. We had a wonderful time in Uganda. We used a very good Safari Vehicle and Charles was our very good driver. He was reliable, punctual and got us to our destinations on time. I there for give him A++++++. All our safari expectations were overwhelmed and fulfilled and the administration was very helpful in answering our emails. We were a group of 3 men and took a safari with Cycads African safari for 25 days. The safari also included climbing Mountain Rwenzori for 8 days. This was the most interesting part for the safari. We had two guides and that was Charles and Sebastian. We only used Sebastian on the Rwenzori Mountain but he was a very knowledgeable guide and knew every thing on the mountain including its weather and vegetation zones. I and My 2 other friends enjoyed the safari and on top of the Rwenzori Mountain there was the Gorillas which also amused us so much. They were very friendly and we enjoyed looking at these spectacular primates. Indeed, this will be unforgettable and memorable experience in our lives. For Charles, Punctuality was OK, Driving ability was very good, and he could explain more about the places that we were visiting. For the safari objectives, our main interests were fulfilled. Our safari was in Rwanda, inquired through a website of Rwanda and to our surprise; it was managed by Cycads African safaris. We had a very friendly driver called Moses who was very excellent on all corners of the country and it was our pleasure to deal with him. Our safari was very nice, well organised by Maria, and every thing was perfect Just like the way we wanted it. Rwanda is really a beautiful country and the best of all we enjoyed with the company of Moses and Maria’s help. She kept on checking on us while we were on the safari, she called us several times and with this we felt very secure. Cycads safaris is such a big and good company, they booked for my accommodation at Jacana safari Lodge in August this year 2010. I booked through their sister website www.accommodationinuganda.com and I was able to be helped out by booking my night at Jacana Safari Lodge in Queen Elizabeth National Park. This was such a wonderful night and I will never forget it. Thanks to Imelda, the reservations department.